Monday, December 31 at 10.30 gathering outside the WAD-RAS prison. Last Monday, October 29, the Information Brigade went to the houses of two anarchist comrades in Madrid to arrest them. 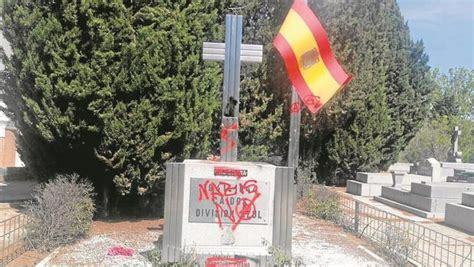 They are charged with the crime of damages caused by the burning of a Bankia ATM in the Vallekas neighborhood during the week of action on the anniversary of the arrest of Comrade Lisa, who is currently in the custody of the German state sentenced to 7 years and accused of robbing a bank. It is not the first nor the last time that the State represses any indication of direct anarchist action. The State has been improving its repressive machinery for some time. Proof of this is the proliferation of surveillance cameras (as in this case) and the taking of DNA and the coordination with other police bodies at European level (as in the case of Lisa or those hunted and imprisoned for the events at the [Hamburg] G20, which had its last chapter in the Spanish State on October 19 with house searches of comrades in Palencia and Madrid). We understand okupation (squatting) as a tool of fight whose main purpose is far from the idea of shaping recreational places. It is an strategy to fight, theoretically and practically, against property as a key pillar of capitalist democracy. Okupation (squatting) is beyond merely logistic. It brings partnership among comrades, builds affinity networks and solidarity, as well as create meeting points to discuss, share experiences or to make out some self criticism. Okupation is not and end but a mean that allows us to organize ourselves and conspire. It is a tangible expression of the notion of “Do it yourself”. The power has done everything to erase any self-management projects since they prove our capacity to organize ourselves outside the system. Sobre el ESOA La Dragona de Madrid pesa una amenaza de desalojo. El pasado martes convocaron una rueda de prensa para exponer sus posiciones y dar a conocer su plan de lucha. El ESOA La Dragona comienza a funcionar en el año 2008 tras liberar activistas y jóvenes vecinos del madrileño barrio de La Elipa un edificio abandonado durante más de 25 años perteneciente al cementerio de La Almudena. Some days ago, as we had already taken the extradition of the comrade arrested on 13th April for granted, we got news that extradition to Germany would be postponed for a month, a postponement decided by the Audiencia Nacional in response to our lawyer’s request as preparation of her marriage documents had begun before her arrest. As soon as the tribunal’s decision was made known, the comrade was transferred to the women’s prison of Brieva (Avila), from where we thought they were making arrangements for the flight to Germany. From the prison we received her words, which we are going to publish immediately. At the moment the comrade is being held once again in the prison of Soto del Real (Madrid), in solitary confinement and with the possibility to go to the exercise yard with the other prisoners, at least until 30th June, the day when the delay for the wedding ceremony expires. In the meantime we are making a callout for solidarity with the comrade in the streets, for support to all imprisoned fighters and for showing deep contempt at the system that keeps them kidnapped in order to defend its miserable order. Comrades, I’m writing from the prison of Brieva, Avila, where I’ve been just taken after a month and a half of imprisonment in Soto del Real, Madrid, always in FIES and solitary confinement. I wanted to write earlier but communications and information are very slow and restricted, so I haven’t done so till now. I truly appreciate all the gestures and demonstrations of solidarity and support. of February 29 to March 6, to inform and make visible their situation! 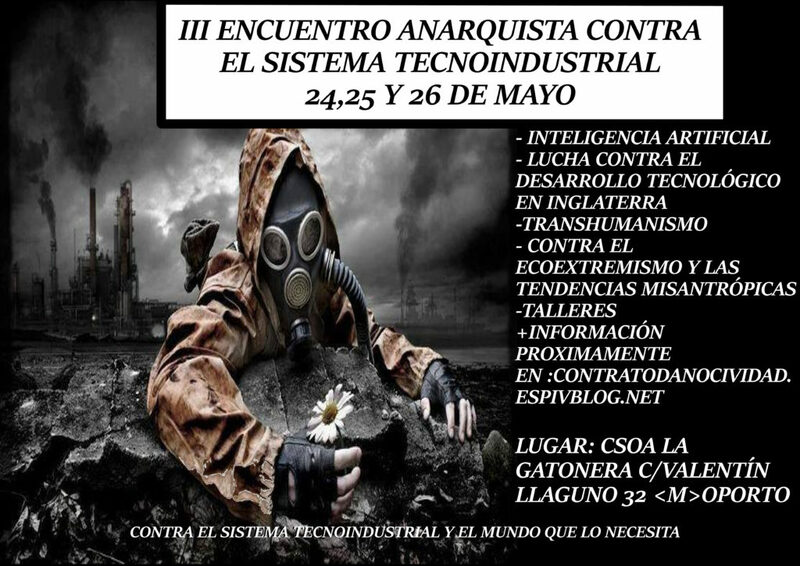 On 8, 9 and 10 March 2016 the trial against the anarchists Monica Caballero and Francisco Solar will be held at the National Court in Madrid. The two comrades are more than two years in pre-trial detention. The charges against them are three of [property] damage, conspiracy and membership of a criminal organization with terrorist aims, which is why the prosecution calls for a sentence of 44 years in prison for each. If last week we awoke to 9 comrades arrested in Barcelona and Manresa, of which one has to stay in prison [Enrique Costoya Allegue] and the rest have been released pending trial in an extension of Operation Pandora, and the extension of preventive prison to Mónica and Francisco, yesterday, November 4, we awoke to a new beat. In this case, Operation Ice in which they have been arrested 5 companions of the collective Straight Edge Madrid. Again the state hits. The allegations, belonging to a criminal organization with terrorist aims, damages and apology of terrorism. The henchmen of the Information Brigade of the National Police say they have found material for making explosives, gunpowder and bomb-making manuals. It alleges them responsible for the attack with incendiary devices against four bank branches in Madrid as well as other actions in Barcelona. In addition, as has become customary, they are accused of relations with GAC (Grupos Anarquistas Coordinados) – coordinated anarchist groups. In this case, they have seized documents and propaganda concerning Anarchist groups, for them a confirmation of their coordinated relationship with them, referring specifically to the comrades arrested last March 30 in Operation Piñata. So it goes in the Spanish state, operation after operation still beating us. But whatever they do they will not get us to stop fighting. Innocent or guilty, just anarchists! Death to the state and long live anarchy!!!! !